Park at Blindburn (NT829109) and follow the track which climbs behind the farm buildings. Once on open ground there are a number of tracks, all generally heading in the same direction (north westerly), so choose the one that keeps to the west of the obvious Yearning Law. Eventually, you will join a track that comes in from your right as the main track bends left towards the mountain refuge hut on Yearning Saddle. 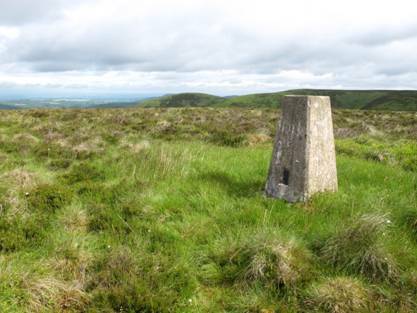 Here, turn right, alongside the border fence, and a short easy climb brings you to the top of Lamb Hill.